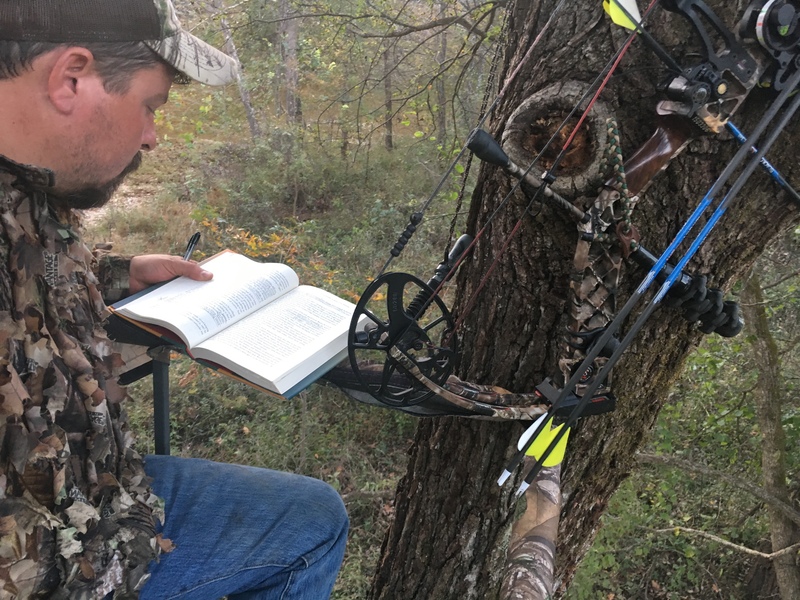 A good book will help you stay on stand for a few more hours during the rut. The last week of October and the first week of November. These are the two weeks white-tailed deer bowhunters live for. The rut will be kicking in, and deer will be on their feet during daylight hours. It’s a peaceful time to hunt before rifles begin to crack and a magical time of year to be in the woods, but wrapping your tag on a buck is far from a sure bet. Around mid-October, whitetail bucks begin gearing up for the rut. During this time, bucks will work on establishing their hierarchy and territory. They’ll mark their range by rubbing their antlers on trees, scraping away the bark and depositing scent from glands on their head. These “rubs” are signs announcing a buck’s presence. Finding rubs lets you know a buck is in the area and clues you in to his home range. As the pre-rut progresses, bucks will begin searching for does coming into estrous. With their hormones raging, they’ll travel much further than normal to find that first doe ready to be bred. Hunting is best accomplished by placing a treestand or ground blind in a high-traffic travel corridor. Examples of such are funnels connecting two blocks of timber, along the edges of crop fields and at major creek crossings. Using calls and scents, such as grunt calls, rattling antlers and doe in heat urine, can be effective at luring mature bucks into range during the early stages of the rut. The peak of the rut occurs when the highest number of does come into estrous at once. This is a busy time for bucks, as they have only one thing on their minds. Many will even forgo food for days as they continue to seek out and breed as many does as possible. During this time, bucks will be where the does are. Hunt a location close to a known doe bedding area, in hopes that a hot doe will be hosting or leading a buck to her bedroom. Once a buck is through breeding a doe, he will move on in search of another. Bucks make scrapes on the ground with their hooves. These circular areas are scrapped clean, so a doe can urinate in them announcing her estrous cycle has begun. She will leave a scent trail for bucks to follow. Hunt near a scrape long enough during the rut, and there’s a good chance a buck will show up to check for scent from a doe. What I believe to be the most important aspect of hunting the rut is simply staying in the woods for as long as possible. I still believe in dawn and dusk as the prime times to be on stand. However, there’s a real good chance of catching a buck on his feet at any time of day during the rut. If you can stay in the woods, do it. Pack a lunch, sit in a comfortable stand and wait it out. While you could virtually find a buck anywhere this time of year, the two areas you want to key in on are known doe bedding areas and funnels. Bucks are looking for does, so chances are they’re going to be cruising to and from as many bedding areas as possible. During most of the year, bucks travel less obvious trails through thick cover. Right now, you can find them running the heavily beat down deer highways leading to and from large tracts of woods or thick cover. Funnels are my favorite. Sure, you’ll see bucks running straight across wide-open expanses, but you’ll find more running funnels. 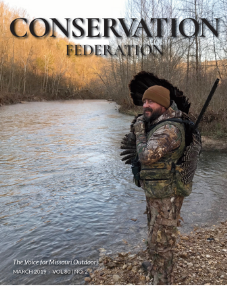 If you can locate a narrow strip of cover connecting two much larger tracts of timber or other deer habitat, then you should count on a buck cruising through there at some point. When I find the right funnel, I like to hang two stands, one on each side so no matter what the wind direction, I can hunt the area. The rut is magical. Even if you don’t tag a buck during this prime time, chances are you will still witness something incredible. Be it a buck fight, breeding behavior or just a glimpse of a true giant that spends the majority of the year moving at night, the rut will give you something. Best of luck to you wrapping your tag on what you consider to be a trophy.